Whilst on a dreaded trip to a Garden Centre I first came across Gnaw chocolate, the Peanut Butter bar to be precise. Aside from this I haven’t come across Gnaw until a little trip to Suffolk. 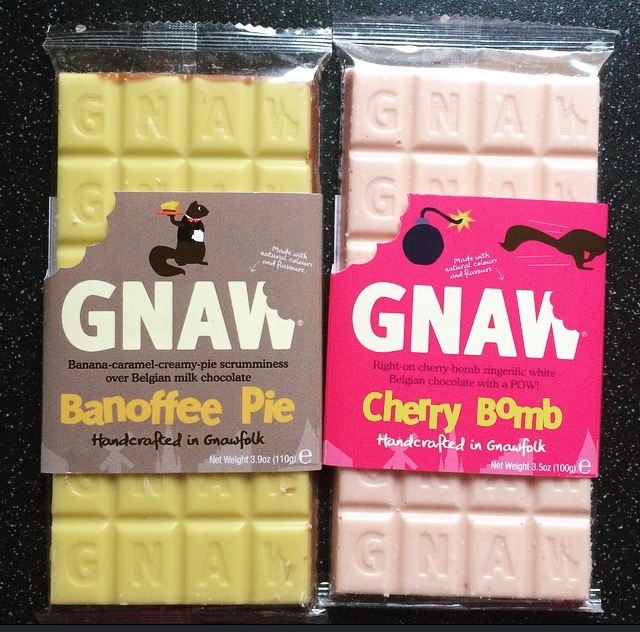 Handcrafted in Gnawfolk, see what they did there, Gnaw use all natural ingredients and definitely no nasties. Running away with their imagination, there are a variety of chocolate bars, Hot Choc shots, Nibbles and Chompers on offer. The most difficult part is choosing which ones to buy. Banoffee Pie £2.99: Caramel milk flavoured chocolate topped with banana, Gnaw have been creative with the classic British dessert, and boy was this bananaery. Not as sweet as I imagined which worked in it’s favour, this bar is seriously moreish. I can’t say it reminds me of a banoffee pie, it’s missing that crunch, but it is seriously de-lish. Cherry Bomb £2.99: White chocolate, cherry and popping candy, I was particularly excited about this one. White Belgium chocolate, this bar is super creamy. I didn’t think it was possible however this was far too white chocolatey. Sickly sweet, there was a smidgen of cherry flavour but that was about it. As for popping candy, well I think we need to send a search party for that one. I hadn’t actually known it had popping candy until I read the packet. Belgian chocolate with a POW it is not. For the first time in a long time a unfinished bar of chocolate went in the bin. 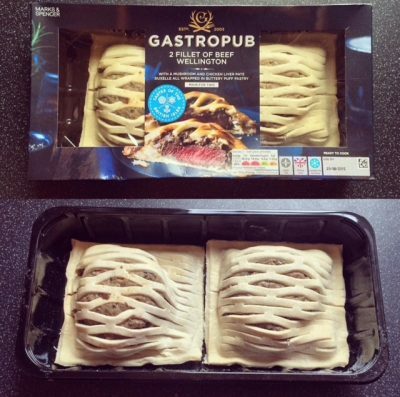 For £2.99 these bars are on the expensive side for a chocolate bar. That said for handcrafted in the UK, and with a range of combinations that are not your usual commercial chocolate, it is worth it. It’s a shame the Cherry Bomb wasn’t all that, but the Banoffee Pie certainly made up for it. For products, stockist and all you need to know about Gnaw, visit their website here. As always please leave your thoughts, feelings and comments on all things imaginative chocolate.